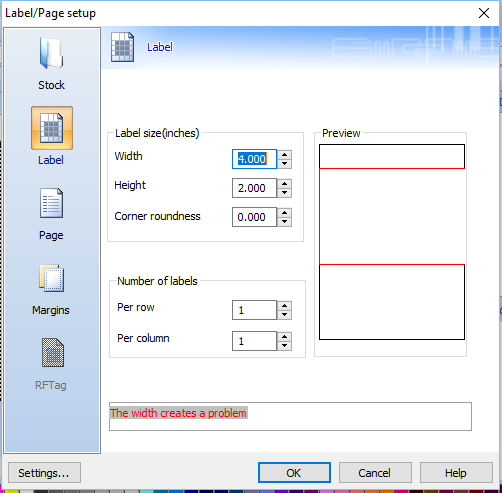 This article explores the problem with CODESOFT where the printed label appears to be cutoff at the exact spot on every label. A proposed solution based on using the Automatic Sizing feature is also provided below. 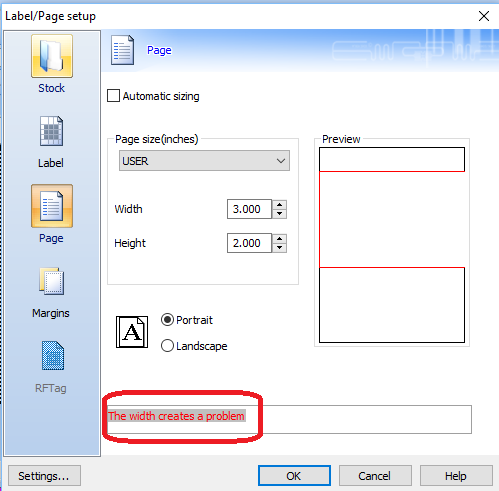 The page setting in the label properties may be the cause. 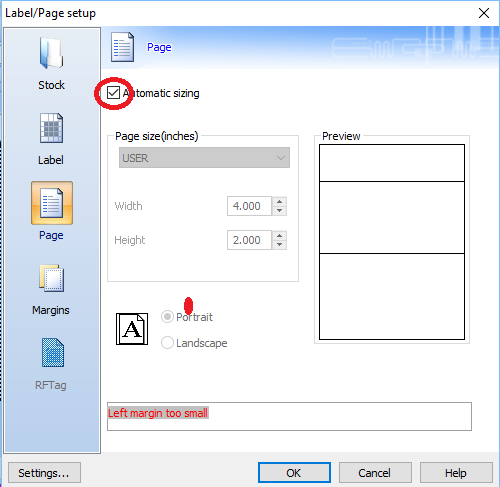 CODESOFT allows user to define the page size to be smaller than the label size. It does give a small warning at the bottom of the properties window. 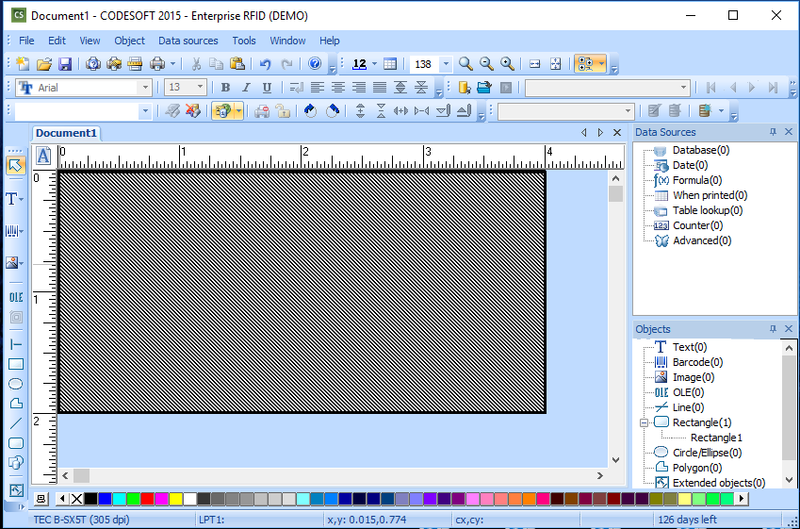 This label is 4″x2″ as seen on the CODESOFT primary design screen. This picture shows the page size is set to 3″ x 2″. Notice the small warning at the bottom of the window. The solution to this issue is to correctly set the page size. The alternative is to check the Automatic sizing box.